Yes. It’s that time again – new iOS, version 4.2, has come out and we want to get it on our iPads for the multi-tasking goodness (and I’ve been waiting for the Korean input support – really? Apple? I had to wait this long?). 5. 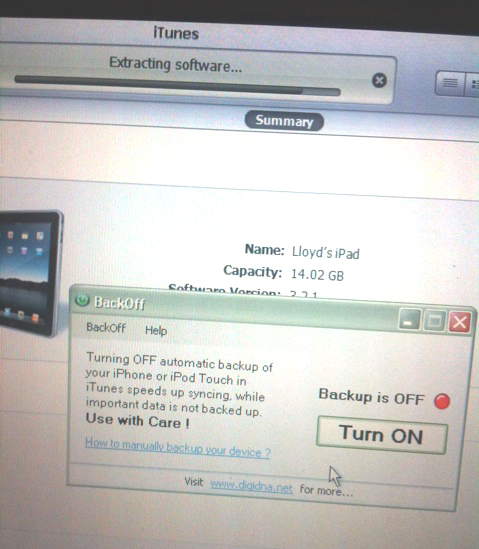 Backup step is entirely skipped and it proceeds to iOS 4.2 upgrade process! 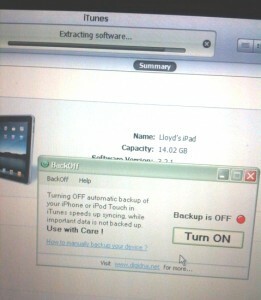 What puzzles me most is why Apple designers and engineers didn’t think about making this backup process optional. When I look at my iPad data, I really don’t have much that I can lose especially given the fact that iPad doesn’t have a camera. Most of the apps are synced to the cloud, so I don’t have any fear of losing important data.